WELCOME TO ALLISON ASSET MANAGEMENT SYSTEMS! Located in Beautiful Downtown Cincinnati Ohio, Allison Asset Management Systems provides financial planning services for businesses, non-profit organizations and individuals. 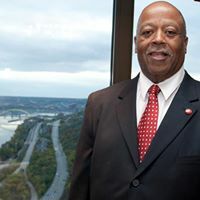 Led by Michael Allison, President of Allison Asset Management Systems, a native of Cincinnati , graduate of Walnut Hills High and The Ohio State University BSBA Finance. Michael and his wife Marie have successfully raised two children, Shana and Michael. The company's approach toward each client is to plan with the thought,"It is not about Me it is about We". The company uses a macro approach when planning for clients.